We have entered a new era in business. An era in which a few giant and incredibly successful companies have mastered the skills to continue to grow and innovate with the agility of startups. I call these outliers Apex Innovators. Apex Innovators don’t use their giant size as an excuse for slowing down. They leverage it and combine it with pretotyping to accelerate, explore, and win with new products—and in new markets. The reward for Apex Innovators? Double-digit growth! Year after year. With no end in sight. This is not supposed to happen, that rate of growth is reserved for small companies not multi-billion industry giants. But it is happening. And it’s a tornado on the competitive landscape. 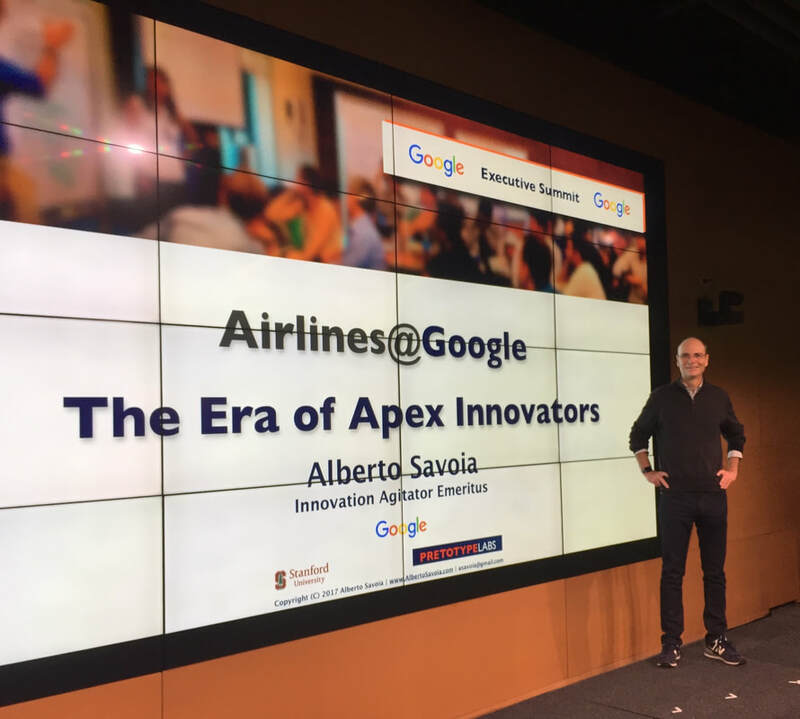 My The Era of Apex Innovators seminars and workshops, the same ones I offer at Google and Stanford, are designed specifically for already large and well-established companies and market leaders that are ready to use their size and resources to their advantage and join the ranks of the Apex Innovators. 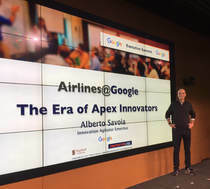 In the words of a Google executive summit organizer: "If innovation is on the agenda, Alberto Savoia must be on the agenda." Have you ever poured your heart, blood, sweat, tears and money to build, perfect and launch an innovative "can't miss" new product or feature ... and then discovered that your "can't miss" idea turned out to be something that few customers actually wanted or needed? I call this scenario ​The Innovator's Nightmare and it's something that most aspiring Apex Innovators have to deal with because, as decades of data show, most new products and most innovations fail in the market. Pretotyping, is a set of tools, techniques, and tactics developed and perfected at Google and now taught at Stanford and successfully practiced by hundreds of other organizations. Pretotyping helps you avoid The Innovator's Nightmare by helping you make sure that you are building The Right It before you build It right. 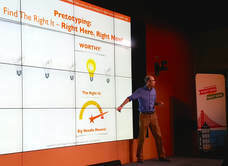 In addition, pretotyping helps you make the most of your innovation potential, because it makes it possible for you to explore and test, quickly and cheaply, extreme ideas that would normally be dismissed as too risky or expensive to try. By combining these two benefits of pretotyping, an established and successful company can maximize its chances for successful breakthrough innovation.